There is a lot to look forward to with Palladium Hotels & Resorts for 2018. From new technology implementation to property upgrades, you and your clients should be keeping an eye out for these upgrades. 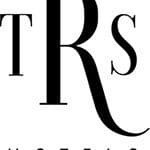 Palladium Hotel Groups’ TRS Hotels will be pioneering new hotel technology which will offer guests a range of services at their fingertips. Guests can expect a new level of service and ultimate convenience once the implementation has been completed. The first hotels to receive these upgrades will be TRS Turquesa Hotel in Punta Cana and TRS Coral Hotel in November 2018. TRS Coral Hotel will not only be getting a technology upgrade but a new sport facilitate along with Grand Palladium Costa Mujeres Resort & Spa in Cancun, Mexico. Through an agreement signed with Rafa Nadal Tennis Centre, Palladium Hotel Group is scheduled to open these new sports centers in November 2018. 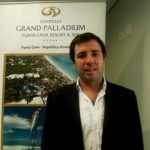 As of June 1st, Grand Palladium Vallarta Resort & Spa in Riviera Nayarit will be premiering Palladium Hotel Group’s new ‘Family Selection’ program. 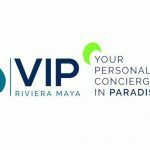 This will offer families even more during their vacation with personalized services, premium products and amenities and more. 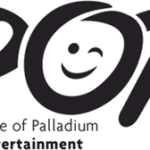 Palladium has announced from May 1 – October 31, 2018, their Grand Palladium Punta Cana Resort & Spa will be receiving their promised renovations and improvements. It is expected to have 255 rooms located in buildings 2000, 3000 and 4000 will be renovated. 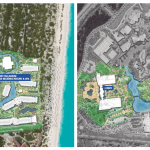 Palladium Hotel Group, through an agreement signed with Rafa Nadal Tennis Centre, are scheduled to open new sports centers in November 2018 at their TRS Coral Hotel and Grand Palladium Costa Mujeres Resort & Spa in Cancun, Mexico. The new Rafa Nadal Tennis Centre Costa Mujeres will offer tennis programs for all levels and ages, both for guests of the hotels and area residents. Each tennis program offered at the Rafa Nadal Tennis Centre is personalized, of high-quality and conducted by coaches of the Rafa Nadal Academy by Movistar. These programs have been developed from an exclusive training system, based on the experience acquired by Rafa Nadal and his technical team and based on the knowledge developed at the Rafa Nadal Academy by Movistar. Rafa Nadal Tennis Centre Costa Mujeres has 8 clay tennis courts, a soccer field 7, one paddle court, a gym for warm-ups, stretches and basic training, an exhibition of objects and clothes from Rafa Nadal, a store with exclusive premium sports products, and a bar/cafeteria with TV screens so guests can watch tennis and other sports.